Release Date: October 24, 2014 – U.S.
Who living among us right now would qualify for sainthood? It's a good question asked by Brother Geraghty (Chris O'Dowd), a priest who teaches at a Brooklyn Catholic school. The least likely candidate, of course, would be Vincent McKenna (Bill Murray). He's a foul-mouthed, chain-smoking, compulsive gambler who frequently gets together with a "lady of the night" (Naomi Watts, complete with a ridiculous but endearing Russian accent). A single mom and her young son, Maggie and Oliver (Melissa McCarthy and Jaeden Lieberher), soon move in next door to Vince – and they have no idea what to make of their new neighbor. Through a series of events and decisions that could probably only happen in a movie, Vin becomes a very unlikely babysitter for Oliver. The plot and performances both seem to be a step or two removed from reality, but it works because the film never once wavers from that tone – even when the story takes a more serious turn. Indeed, audiences will likely go into "St. Vincent" expecting a comedy, but the second half is unexpectedly dark and dramatic. Also surprising: Melissa McCarthy, who usually provides the comic relief, plays it straight here. (She does have one scene, though – a meeting with the priests at her son's school – where she delivers perhaps the most hilarious line in the film.) Bill Murray, however, gets to dish out some great zingers throughout. As you would expect from one of Bill Murray's offbeat characters, Vin isn't the typical babysitter. He teaches the boy how to fight and takes him to a bar and the racetrack. Unfortunately, betting on losing horses has left Vin deeply in debt – and at the mercy of the unsavory Zucko (Terrence Howard, in a small role), who has come to collect. There are other developments, but those are best left for you to discover. 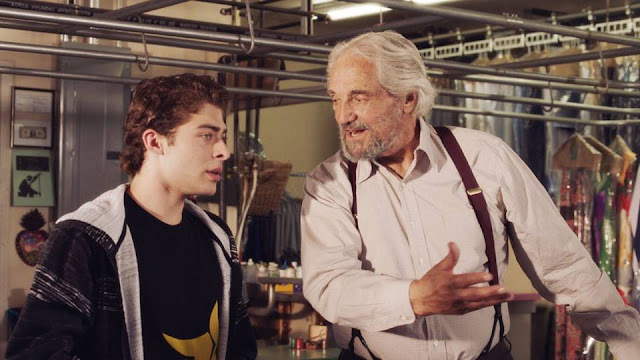 In most movies, the relationship between the old man and the little boy would be used as a predictable plot device to soften the main character's crusty demeanor – the tried and true formula of a child's wide-eyed innocence and its magical effect on that special crotchety someone – and then everyone lives happily ever after. "St. Vincent" doesn't make that mistake. What it does instead is peel away at Vin's layers to reveal a full-fledged but flawed human being that's more than just a collection of curmudgeonly film stereotypes. The movie isn't perfect. There are a couple of loose threads – mostly involving Zucko and some money – and it can be slightly over-the-top at certain points. Still, by the time the film takes an emotional turn, these characters have earned our empathy. I felt for them, rooted for them, and wanted them to ultimately be okay. 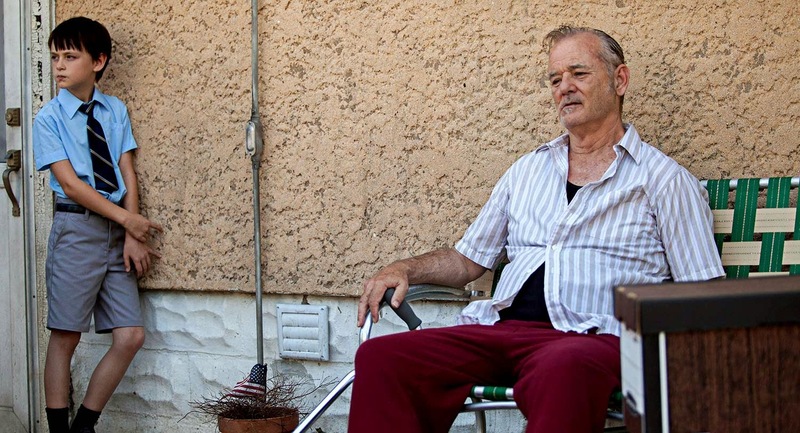 Saints were originally human beings with their own set of foibles and failings, but as Bill Murray's character demonstrates in "St. Vincent," those obvious faults don't always tell the whole story about who a person actually is.